I am going to split the description into a few sections: Driving Base, the Arm, the Hand, and the Conclusion. The base is a basic skid-steer base that I strengthened as I built the arm. 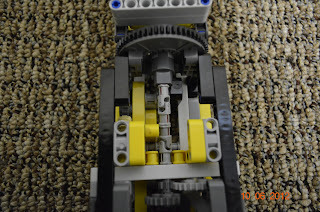 The 2 NXT motors are geared down 1:667 and control the driving function. I reinforced the treads due to a slight amount of bending when the arm (weighing around 5 lbs) would try to lift something heavy. 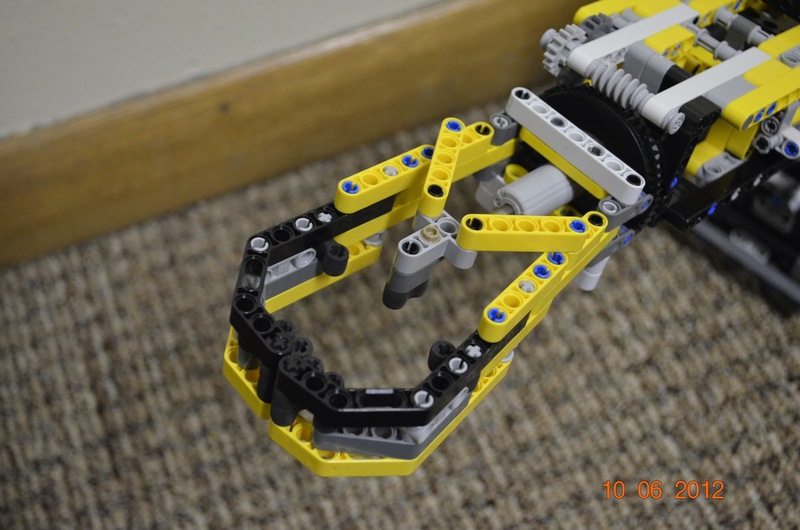 The base took the shortest amount of time to build only around 45 minutes with an additional 15-20 minutes fixing all the flaws. 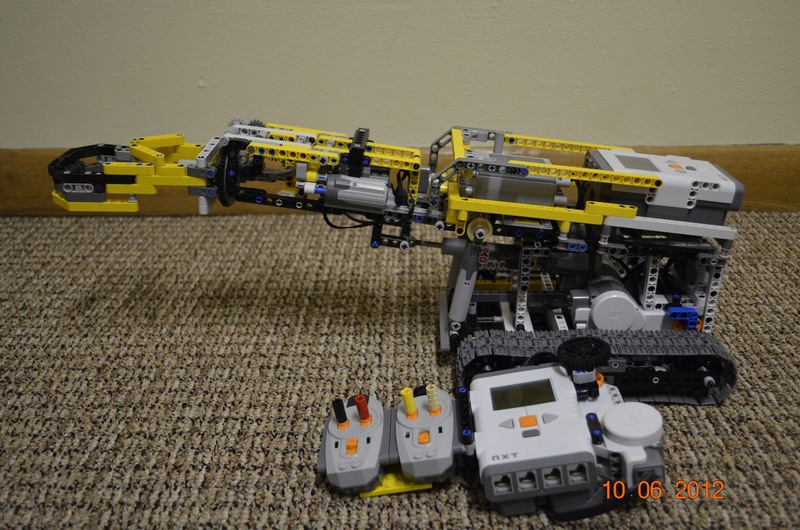 The arm was really fun to build but it also gave me the most trouble. 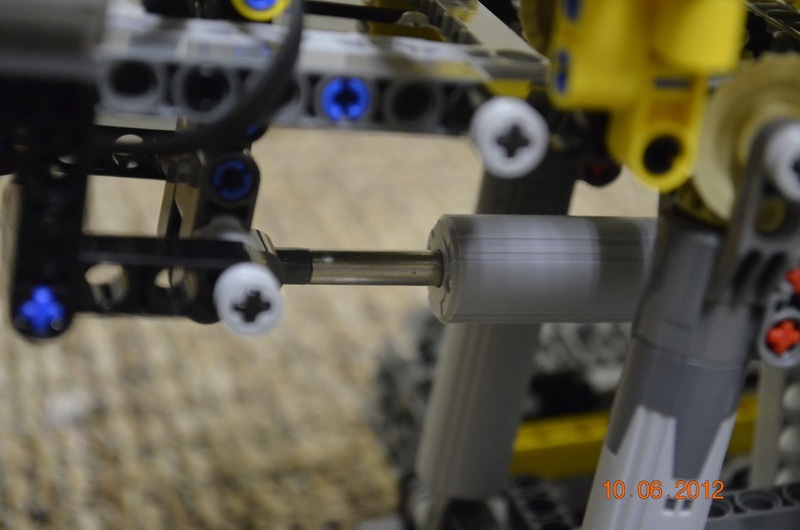 I used 3 linear actuators, two for the whole arm and one for the bend in the middle. 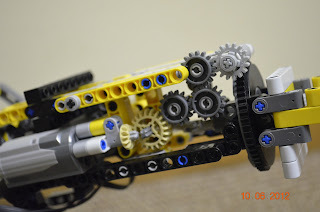 You can see the gearing (4th picture) for the two actuators that lift the whole arm. 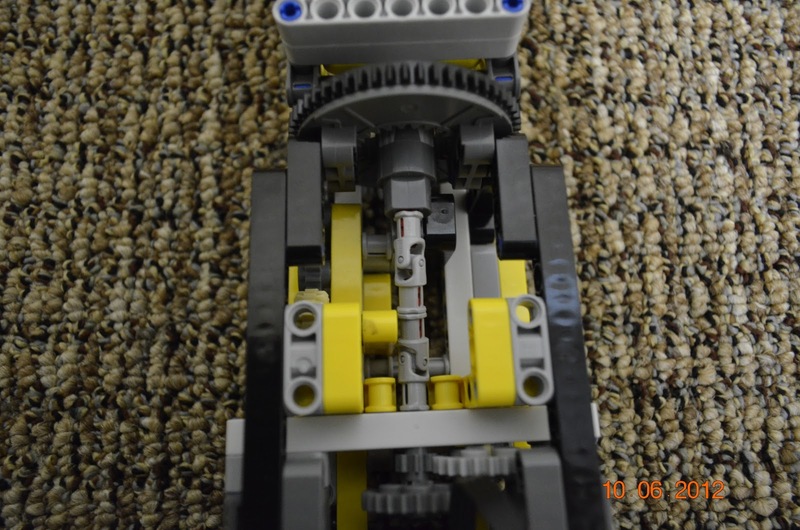 I did not use any gearing for the bend in the middle (5th picture). I originally was going to use two actuators too lift the middle bend but instead I used only one because I needed the other one for the hand. The arm took me about 2-3 hours too build and perfect. The hand also gave me a lot of trouble. 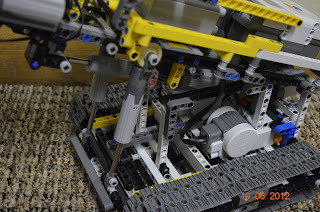 At first I tried using a worm gear for the grabbing function but the worm gear kept on popping off whenever it tried lifting gripping something. So I switched it for the actuator which works like a dream. 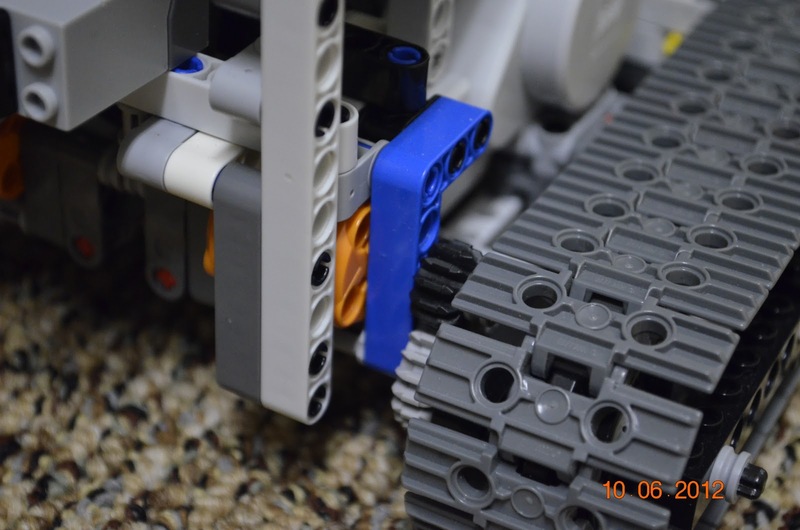 It also gives it alot more torque when gripping. The hand can spin around by an arrangement of gears that turn a worm gear which turns the turnable connected to the hand. All in all I really enjoyed building R.O.T.A. I did run into a few challenges though, but I love challenges, they are what keep me going. It is really fun to build with all the parts I got with the excavator. I am planning some more creations and I should be posting more often.